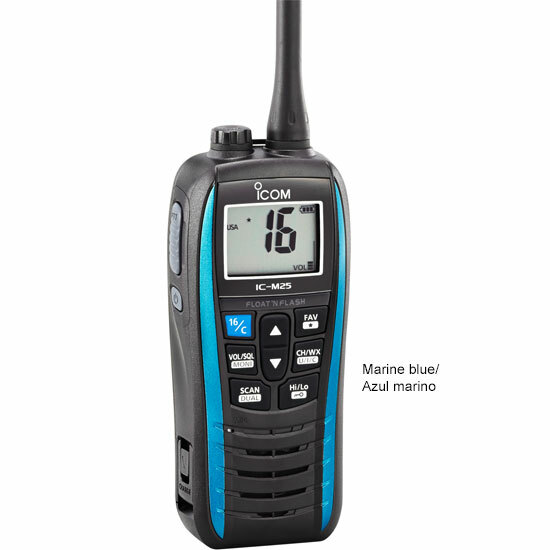 When water is in the speaker grill, Icom’s unique AquaQuake™ emits a buzzing sound and sheds water from the speaker. This function assures clear sharp sound at all times. The IC-M25’s LCD is 30% larger than the IC-M24’s and clearly shows large channel number and status icons. The buttons on the front panel are well laid out and provide simple and straightforward operation. 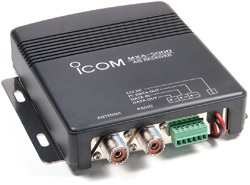 The IC-M25 provides a powerful 550mW audio output and received voice can be heard loud and clear. By holding the VOL/SQL button with ▲ (up) button, the volume is instantly turned up to the maximum level.